I love this beautiful ornate brooch. It is hand painted and you can see the signature of the painter. 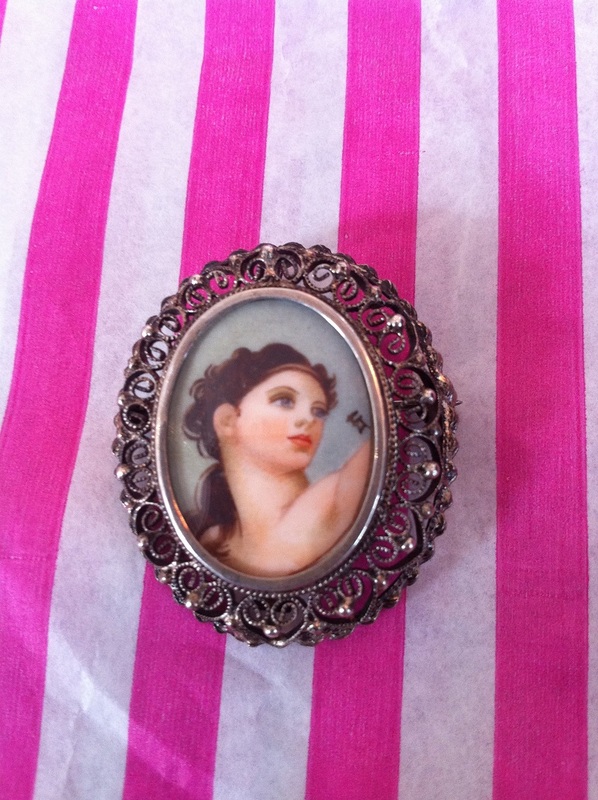 I think it is an Italian brooch. Hand painted brooch! You can see the painter signature on the right. 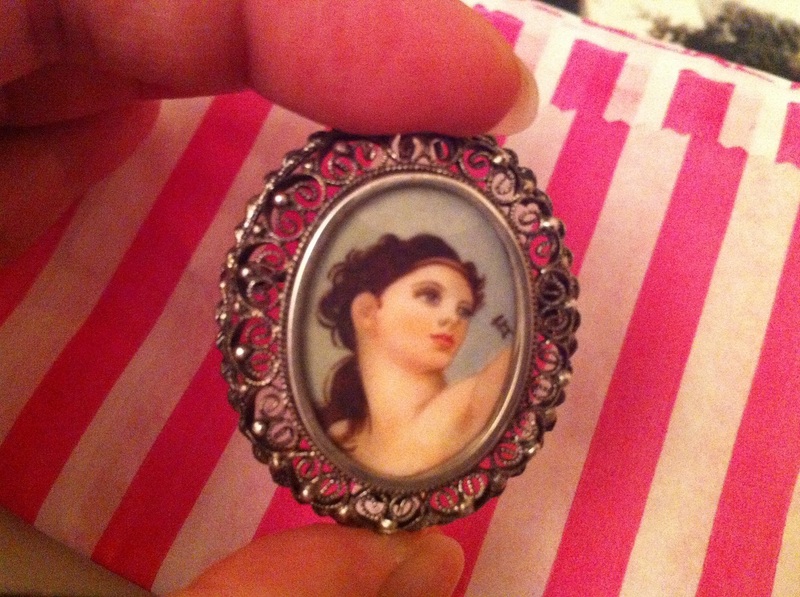 I bought this lovely brooch at the Adams Antique Fair at the Royal Horticultural Hall. 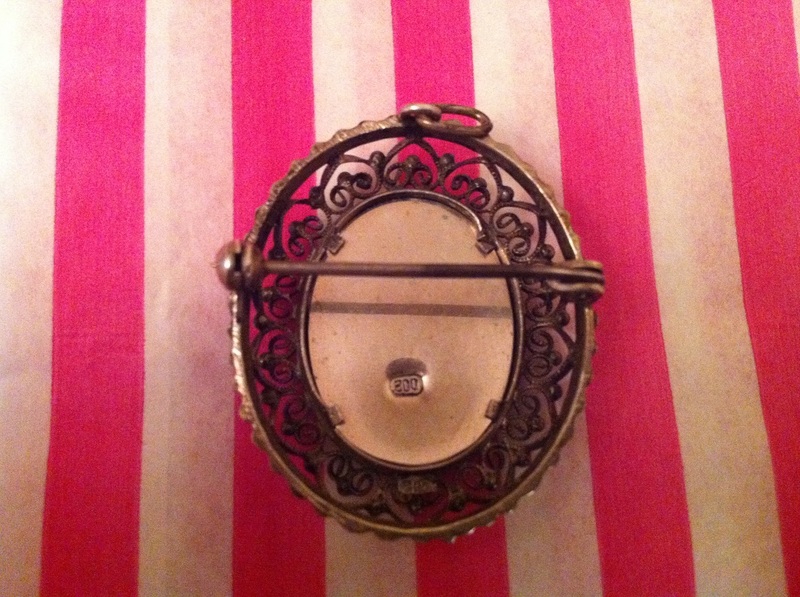 It is 800 silver and it is a delicate filigree. It is not too big on the size. I love the silver filigree design!